According to the 2010 U.S. Census, almost 20% of American babies under age one are enrolled in daycare facilities; for children ages one to two the number is as high as 27%. Many daycares nationwide excel at providing innovative educational programs designed to give little ones an academic and developmental advantage in the areas of communication, motor skills and social skills. The right educational resources, combined with well-trained professionals, usually result in well-adjusted babies and toddlers who display a great capacity to engage with their peers and communicate specific needs to their caregivers. 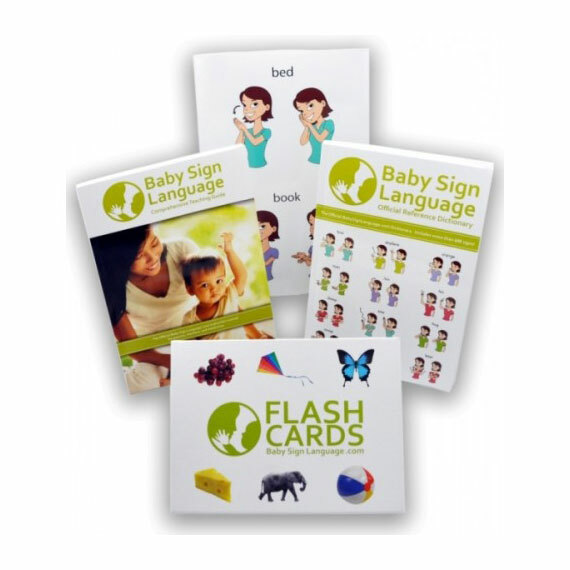 The Baby Sign Language Kits & resources are currently in use in numerous accredited daycares and early childhood development centers around the globe. In partnership with motivated parents who want the best for their babies, they ensure each baby is well-equipped to communicate during the pre-verbal stage. 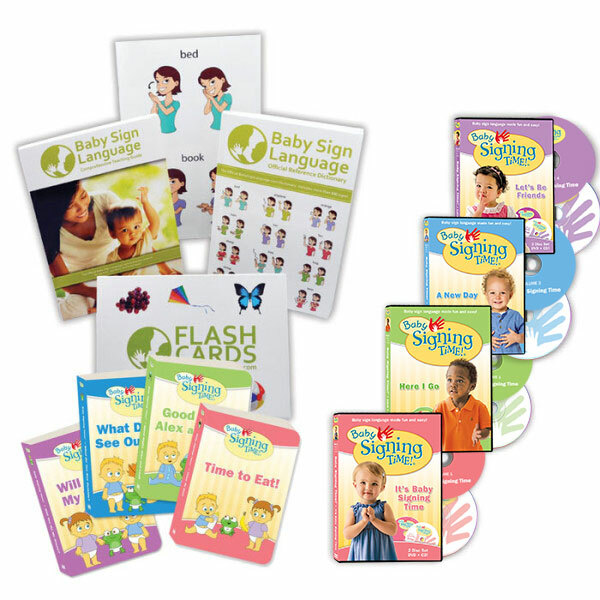 “I received The Baby Sign Language Deluxe Kit as part of the welcome package provided by my daycare. I am a working mom and my son Weston started Daycare shortly after he turned three months. His daycare curriculum includes baby sign language as a way to help our babies be less frustrated communicating basic things like thirst or hunger. Baby sign language reduces frustration by equipping the pre-verbal child to communicate basic needs like food, water or favorite objects. Babies attending day care transition with ease and have the confidence of continuity when they know a sign will have a similar response at home or with caregivers. Baby sign language is conducive to a quieter, more cooperative classroom environment with toddlers. Baby sign language improves fine motor skills. Baby sign language is proven to improve IQ and facilitate multilingualism later in life. Baby sign language helps with the development of self-esteem. Baby sign language is helpful in a therapeutic context, to provide a means for augmentative communication for little ones with speech delays. In order to help daycares, Montessori’s and early child development centers better serve their students, we offer a discounted price for bulk purchases and can work with your center to design custom kits that combine any of the materials available at the Baby Sign Language store. We are able to provide purchase orders and process tax exempt forms. Our pricing for educational institutions is available worldwide. Contact us at [email protected] to obtain more details. We also extend our bulk pricing to organizations such as clinics and institutes serving babies and toddlers with atypical speech delays. Many speech pathologists currently use our resources in tandem with other therapeutic approaches. Parents need to know that you are their partner when it comes to educating a child. Working parents often feel left out and unable to witness or be part of meaningful milestones. 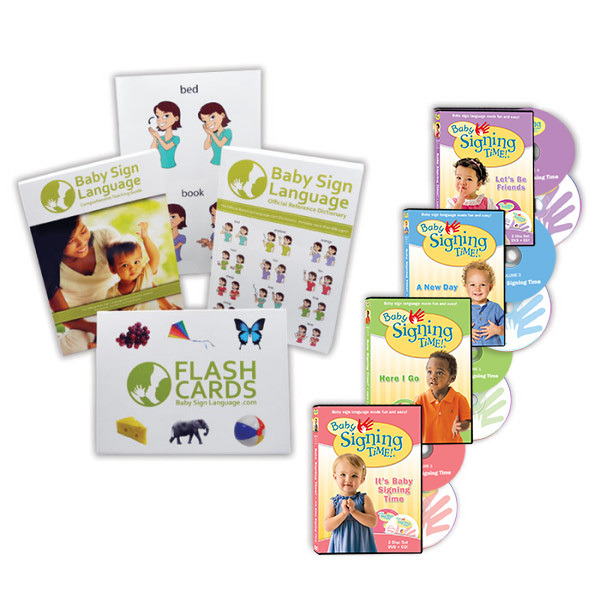 A Standard Baby Sign Language Kit is the perfect gift to help busy parents bond with their babies while directly participating in their learning processes. Why not include a kit as part of your welcome package when a new baby joins your early child development program full-time? Please contact us if your organization is interested in hosting a workshop for educators, caregivers or clinicians wanting to learn the best methodologies for teaching baby sign language. Our workshops are thoughtfully designed to empower educators in a way that is engaging and interactive. At what age should babies begin to learn baby sign language? Just like we expose babies to speech from birth, they can also be exposed to sign language as early as their first month. Keep in mind that they will be most receptive only after they are over five months old. By the time a baby turns one, if he or she has been consistently exposed to baby sign language, you can expect three to eight recognizable signs. What are the most appropriate and useful signs for a collective setting? It is best to stick to the basics both at care and at home. We have selected the most common signs based on the needs and interactions of pre-verbal children and have prepared instructional material available here. How does your Bulk Discount work? Flash Cards – 52 sturdy board (4×6 inches) flash cards, covering a variety of basic signs. The flash cards allow you to teach words, such as animal names, that Baby is not exposed to in everyday life. The face of each flash card shows the word and image for the child. The back of the card shows how the sign is performed, a handy reminder for the adult. BSL Guide Book – shows you how to teach your child how to sign. The book begins with a Quick Start Guide that will teach you your first signs and have you ready to sign in 30 minutes. As Baby progresses, you can delve into more advanced topics like combining signs to make phrases, using props, and transitioning to speech. Signing Dictionary – contains over 600 signs including the most common words, the alphabet, and numbers. The dictionary helps you expand your child’s vocabulary, and has the breadth of coverage that lets you follow your child’s interests. Each sign is illustrated with two diagrams, showing you the starting position, the ending position, and intermediate motion. Wall Chart – the 24” x 36” chart includes 22 basic signs, and makes a handy reminder for caregivers. The Baby Sign Language Wall Chart covers basic signs like eat, drink, and sleep. Hang the poster in Baby’s Nursery to help babysitters or other caregivers learn and decode the most commonly used baby signs. Alternatively, you have the option to purchase each of these items individually in bulk. In the classroom setting you may want to order a single dictionary for the teacher and one flash card set for every student. Are the Baby Sign Language products guaranteed? Absolutely. We are confident the kits will enhance the communication skills of your babies and set the stage for happy interactions. If for any reason you are not satisfied with your purchase, we will happily issue a refund. No strings attached. How long are your workshops for educators? We have day-long workshops with a curriculum designed to prepare early childhood educators to teach baby sign language in a group setting. We also have specialized breakout sessions designed for special education instructors as well as speech therapists. Contact our sales department at [email protected] or by calling (855) 827-5275. To learn more about the products we offer visit our baby sign language store. I will be using sign language for my infant class. I’m very excited about this. are you able to use the pictures from the dictionary to create labels around the room and little rings of frequently used words for the little to extend learning with their families? You can use the digital resources for any non-profit use as long as you give us credit. I’m going to be teaching baby sign at different daycare centers. Can you guide me as to what I should charge them for my services? And how often I should teach them? Once a week? Month? And should the cost vary when I teach the families as opposed to the center? Thank you. Feel free to email me at [email protected] with your questions. My daughter does a sign from her old daycare (i havent been able to get in touch with them) that looks like : both hands in fists and then the arms rolling over each other. like a tumbling action. I was wondering if you would be able to identify what sign this is? That is the move kids make when they are singing “The wheels on the bus”.